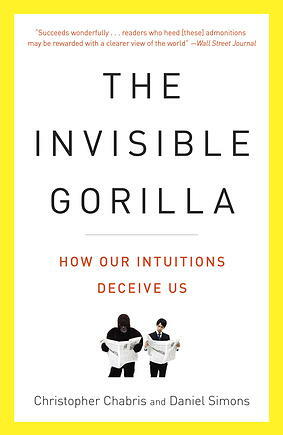 Psychologist & author of The Invisible Gorilla on how our intuitions deceive us. If your message is vivid and memorable, your customers will see and remember it, right? Not necessarily. In this talk, Dan Simons, creator of the famous "invisible gorilla" psychology experiment, uses real-world stories and startling demonstrations to show how we all miss much more of what goes on around us than we realize. People won’t notice the gorilla in the room just because we think it’s obvious. By better understanding the gap between how we think we pay attention and remember and how we really pay attention and remember you will gain new insights into how your customer's mind works, allowing you to craft a more persuasive and compelling message. One of the greatest obstacles to effective leadership is faulty perception. Because of the way our minds are built, we often don't see the world as it really is. Instead, we see what we expect to see and believe what we want to believe, regardless of the evidence. 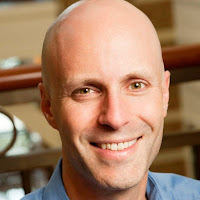 In this talk, Dan Simons, creator of the famous "invisible gorilla" psychology experiment, reveals how common misconceptions about the mind can undermine our ability to lead. With real-world stories, personal anecdotes, and clever experiments, Simons leads the audience to question their assumptions about how they think and to see themselves—and those around them—as they really are. Everyone involved in healthcare makes high-stakes decisions. One key to effective decision-making is knowing when to trust your intuition and "go with your gut," and when to take a step back and think twice before choosing a course of action. In this talk, Dan Simons, creator of the famous "invisible gorilla" psychology experiment, shows how our decisions are often clouded by our intuitive ideas about how the mind works. With entertaining examples and surprising scientific studies, Simons will leave audience members with a deeper appreciation of how we all really think, and how to make better decisions in their own lives. Daniel Simons is a professor of psychology, advertising, and business administration at the University of Illinois, where he heads the Visual Cognition Laboratory. His research explores the limits of awareness and memory, the reasons why we often are unaware of those limits, and the implications of such limits for our personal and professional lives. He is best known for his research that showing people are far less aware of their visual surroundings than they think. Simons received his B.A. from Carleton College and his Ph.D. in experimental psychology from Cornell University. He then spent five years on the faculty at Harvard University before being recruited to Illinois in 2002. He has published more than 100 articles for professional journals, and his work has been supported by the National Institutes of Health, the National Science Foundation, and the Office of Naval Research. He is a Fellow and Charter Member of the Association for Psychological Science and an Alfred P. Sloan Fellow, and he has received many awards for his research and teaching, including the 2003 Early Career Award from the American Psychological Association. In addition to his scholarly research, he is the co-author (with Christopher Chabris) of the NY Times bestselling book, The Invisible Gorilla. He has penned articles for the NY Times, The Wall Street Journal, the Los Angeles Times, and the Chicago Tribune (among others), and he appears regularly on radio and television. His work has been exhibited in more than a dozen science museums worldwide, and includes some of the best-known demonstrations in psychology.